Australia forced a couple of half-chances from corners, with Tim Cahill seeing a volley blocked, but the Socceroos' tournament ended with a whimper - even though Denmark's draw with France would have eliminated them anyway - while Peru were left wildly celebrating their first World Cup win since 1978. Australia: Ryan (6), Risdon (6), Sainsbury, (6) Milligan (5), Behich (7), Leckie (6), Jedinak (5), Rogic (6), Mooy (6), Kruse (5), Juric (5). 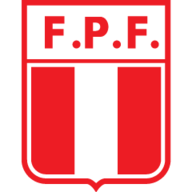 Peru: Gallese (7), Advincula (7), Ramos (7), Santamaria (6), Trauco (6), Carrillo (8), Tapia (6), Cueva (8), Yotun (6), Flores (7), Guerrero (7). Needing a win to have any chance of progressing, Australia's urgency was clear from the off, keeping Peru camped in their half in the early minutes. A half-chance for Mile Jedinak was scooped over from 20 yards, but their lack of ideas in open play continued from their opening two games - and Peru showed them how to do it with their first sight of goal. Guerrero found some space on the left of the Australia area, and spotted the late run of Carrillo. Having picked the Benfica winger out with a perfect pass, the finish was equally impressive and left Ryan scrambling. Celtic's Tom Rogic bundled his way beyond three challenges as Australia sought an immediate response, but was thwarted by Pedro Gallese's low dive. There were two changes for Peru, one in midfield and another in defence, with centre-back Anderson Santamaria replacing Alberto Rodriguez, and Renato Tapia in for Pedro Aquino. Tomi Juric replaced Andrew Nabbout in Australia's attack, marking their only change from the 1-1 draw with Denmark last time out. That was it in terms of clear chances until Peru doubled their advantage five minutes into the second half - when Flores' shot took a wicked deflection off Jedinak to reach Guerrero, and his shot beat Ryan with the help of a touch off Mark Milligan. 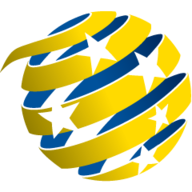 Two Aaron Mooy corners in quick succession found Aziz Behich and Cahill, who both saw goalbound efforts deflected away, as Australia's hopes of progression slipped rapidly from their grasp. At the final whistle, players from both sides sunk to their knees in tears but for very different reasons, with Peru's 14,625-day wait for a World Cup win finally over, and Australia's disappointing tournament ending on a sour note. Australia failed to win a match at a World Cup tournament for the third time in their five participations (1974, 2014 and 2018). Peru won their first match at the World Cup since a 4-1 win over Iran in 1978 - 14,625 days ago. Peru forward Pablo Guerrero - aged 34 years and 176 days - became the third oldest South American scorer at the World Cup, behind only Argentina's Martin Palermo (36y 227d) and Obdulio Jacinto Varela of Uruguay (36y 279d). Peru's opening goal in this match was their first at the 2018 World Cup from what was their 28th shot of the competition. Australia's first two used substitutes in this match - Tim Cahill (38 years) and Daniel Arzani (19 years) - are separated in age by 19 years and 29 days. Peru opened the scoring in this match, only the third time they've done so in 18 World Cup matches and the first time since 1978 against Iran. Tim Cahill became the first Australian to appear at four different World Cup finals (2006, 2010, 2014 and 2018). Peru scored as many goals in this match as they managed in their previous eight World Cup games combined (2). Australia have not kept a clean sheet in any of their 13 matches at their last four World Cups between 2006 and 2018. Australia's failure to win any of their three matches at the 2018 World Cup mean that Oceania countries (Australia and New Zealand) have now won just two of their 22 matches at the World Cup finals (D7 L13). Aside from being Peru's first World Cup goalscorer in 36 years, Carrillo has arguably been their player of the tournament, and was lively down the right, winning four of his six duels. And his goal was one to savour, the winger's technique timed perfectly as he caught Guerrero's cross first time to beat Ryan with a brilliant finish.